TalentCircles: A Platform for Talent Connection Solutions: How is Workplace Diversity Changing? A diverse workforce isn’t simply a numbers game focused on how many members of certain groups of people you employ. It’s about bringing the diverse perspectives, work experiences, life styles and cultures of those groups together to make your company a better place. Neil Lenane, Business Leader Recruiting at Progressive Insurance was quoted in a recent Forbes article saying, “If you do not intentionally include, you unintentionally exclude.” Time and again, research shows that businesses who focus on building diverse teams outperform those who don’t. A big part of that performance is due to the innovation that comes from combining all of those people’s different outlooks. According to the article, just bringing different types of people together causes them to believe that they will automatically have different perspectives and this makes them work harder to explain their own viewpoints as well as to understand the outlooks of others. This ultimately leads to better outcomes. Something else to consider when it comes to including diverse groups in your workforce is how those different perspectives can be applied to your customers. 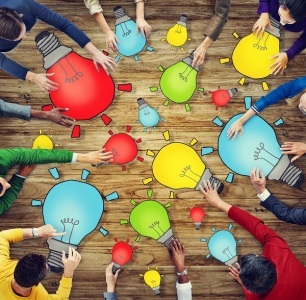 The innovative ideas that come from these groups can open you up to new product, service or marketing ideas that you might otherwise have never thought about. You’re likely to find there are all types of opportunities to expand your market by reaching out to minority groups or capitalizing on niche markets. If you want to learn more about developing a robust diversity and inclusion strategy, and how to measure the impact of a diverse, inclusive and culturally competent workforce, check out SHRM’s upcoming Diversity & Inclusion Conference & Exposition. And, for information on how we can help you add diverse talent to your existing talent pool, call us at 415-835-0202 or email us at sales@talentcircles.com. Being a writer and to become a writer is not an easy job. It requires daily practicing and hard work. This post shows the exact that. How a write up could wants to be will find from here.